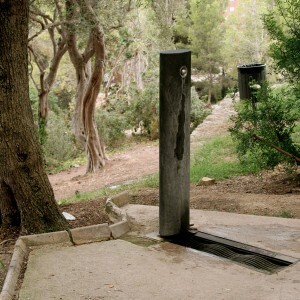 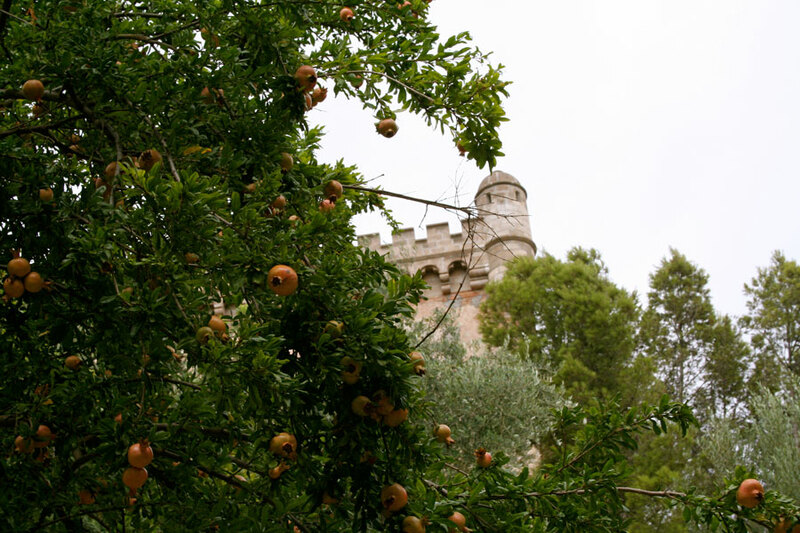 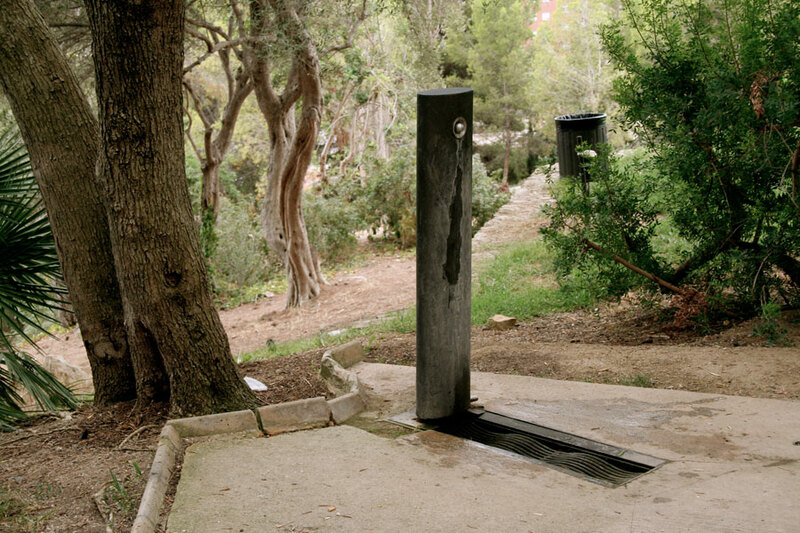 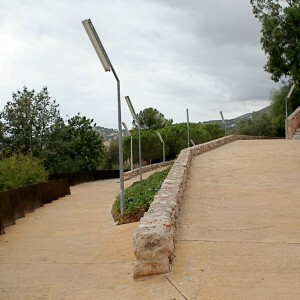 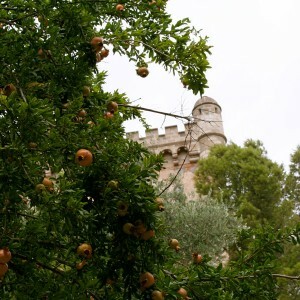 JAMLET: As the first stage of the developement and landscaping of the hill sorrounding the castle at Castelldefels, a pedestrian walkway has been built to give access to the castle from the city centre. 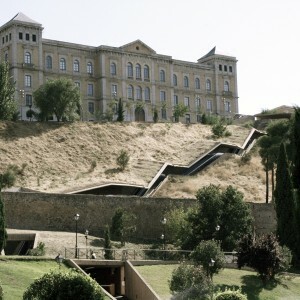 To overcome the difference in levels between the city and the castle, the ramps zigzag up the hill with supporting walls for the levelled areas. 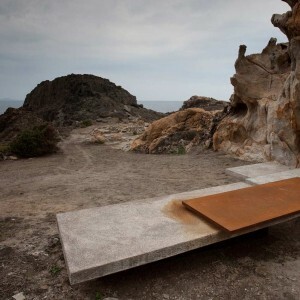 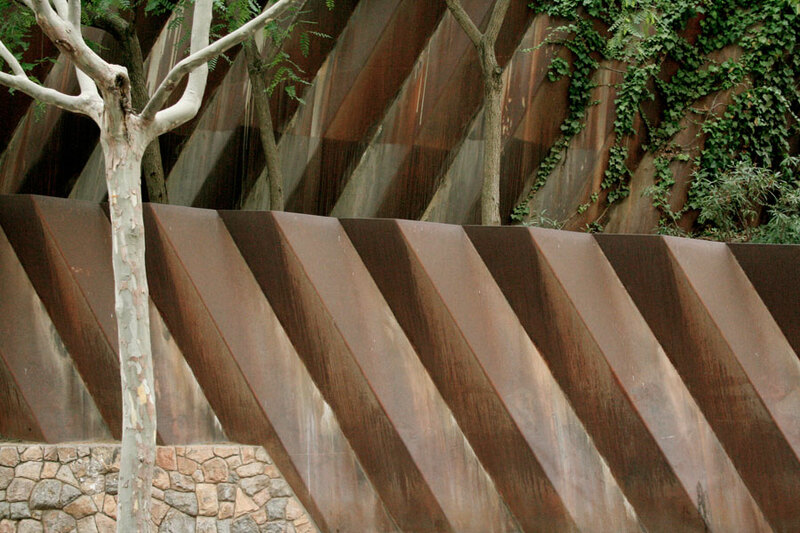 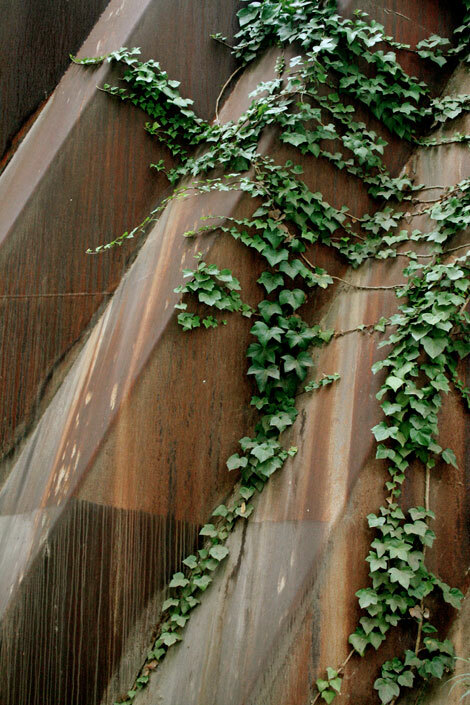 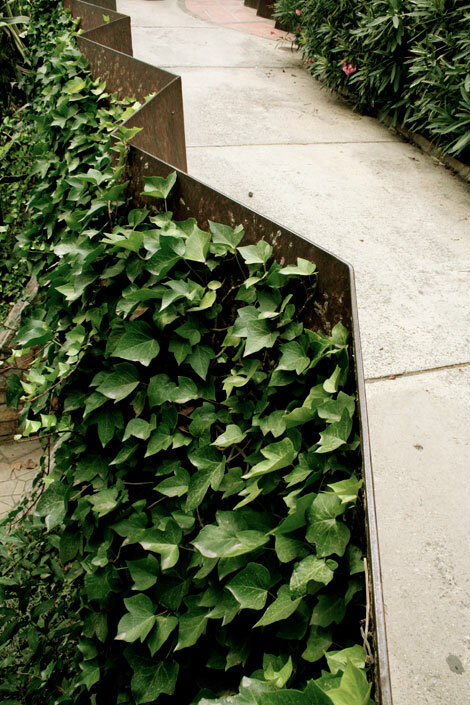 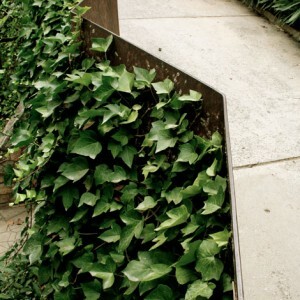 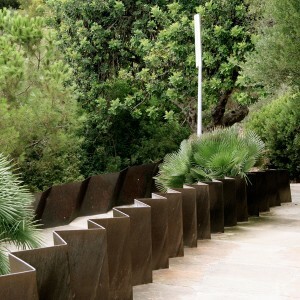 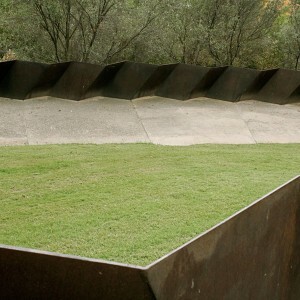 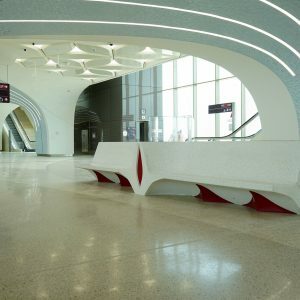 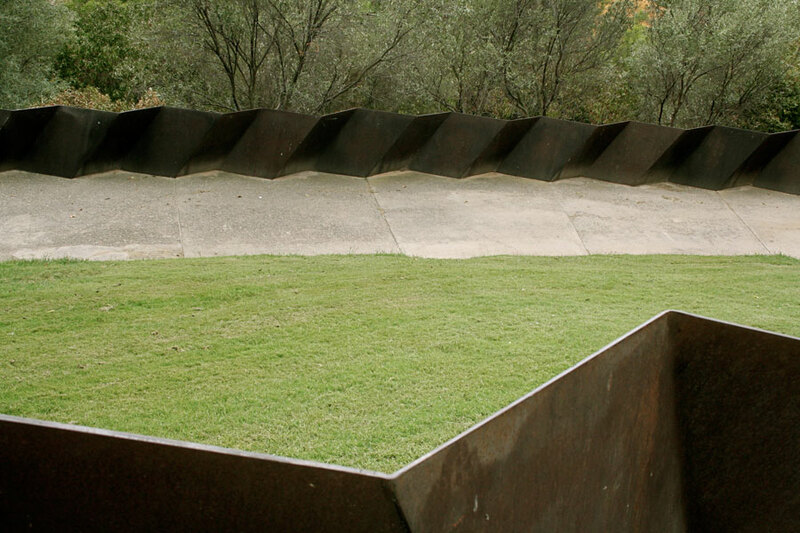 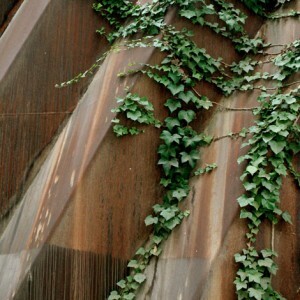 These walls are made of reinforced concrete and steel formwork “corten” and held in place using inclined struts. 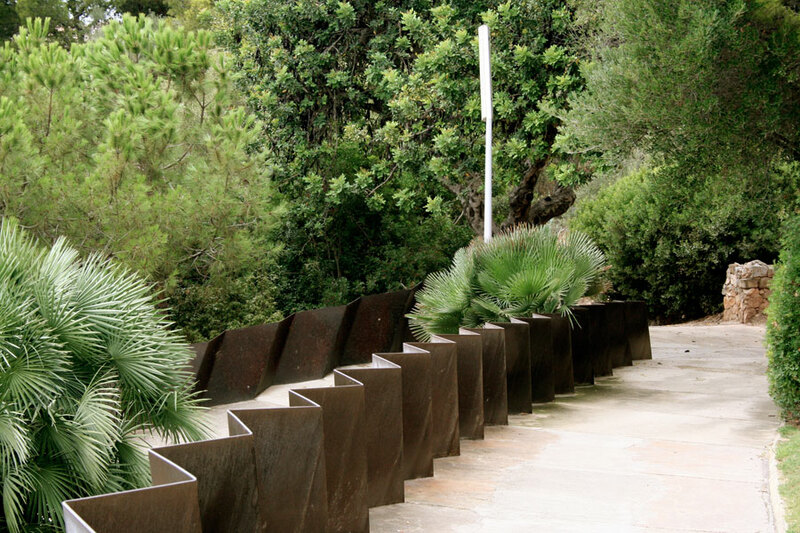 The top ends of the steel formwork are extended to form handrails for the walkways. 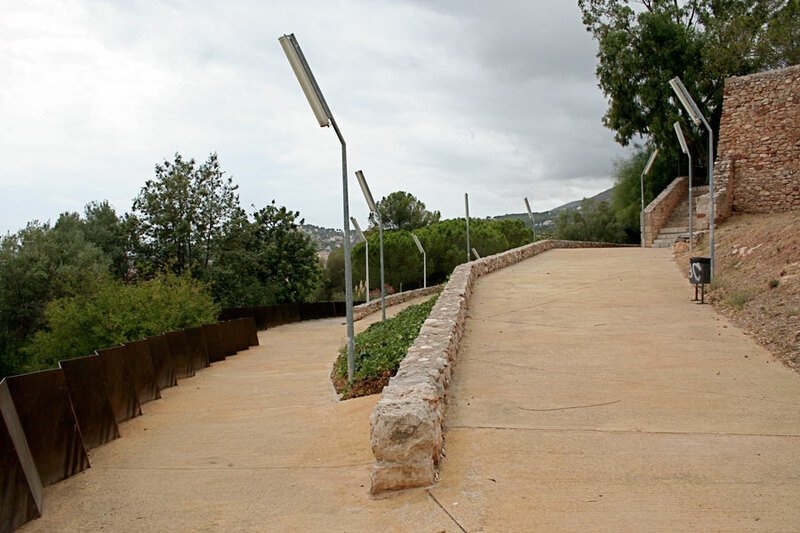 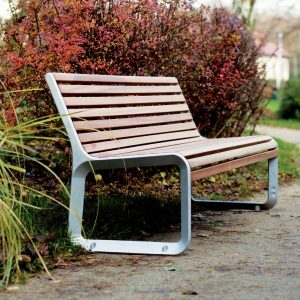 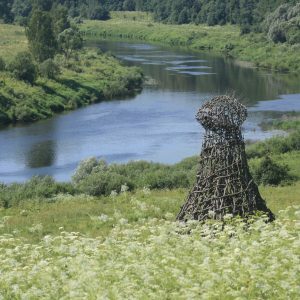 The project is intended to solve a specific problem, to provide an access path from the city to the castle, using a single material and a single method of construction. 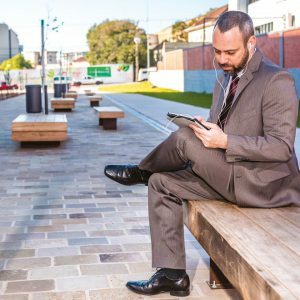 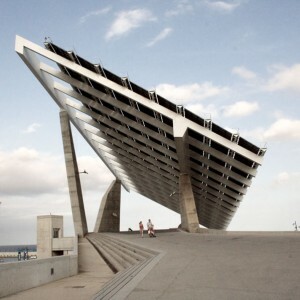 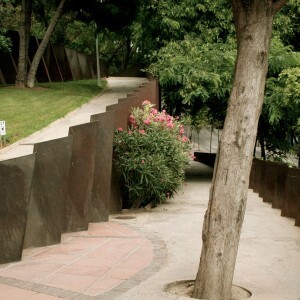 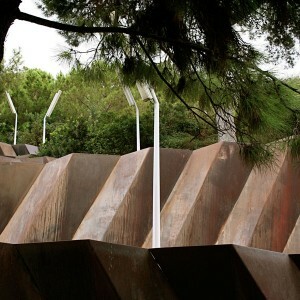 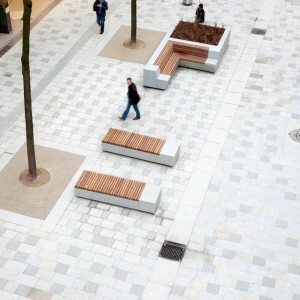 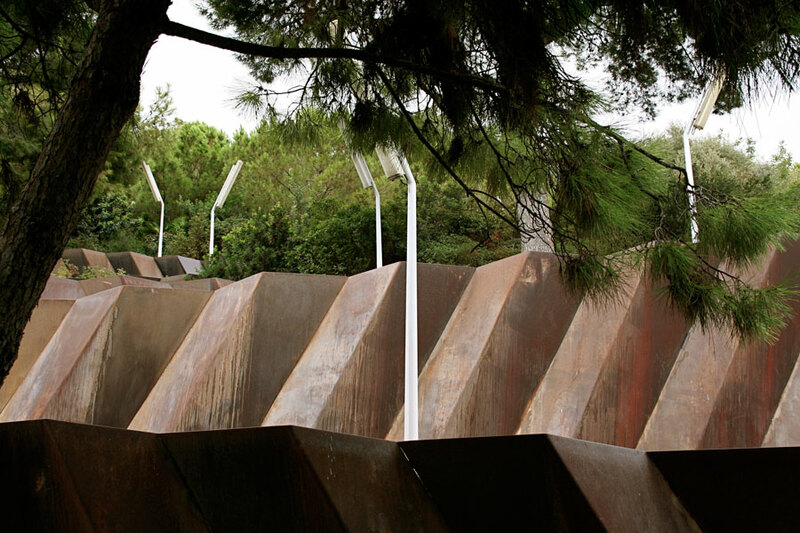 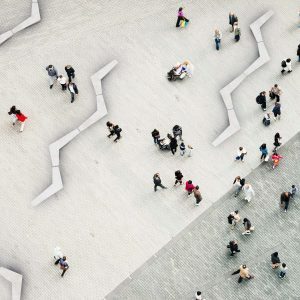 This uniformity, the fact that the walkways form a continous unit more than a kilometre long and the way in which the wall is sectioned, give the project an apperance halfway “iron papiroflexia” and urban development. 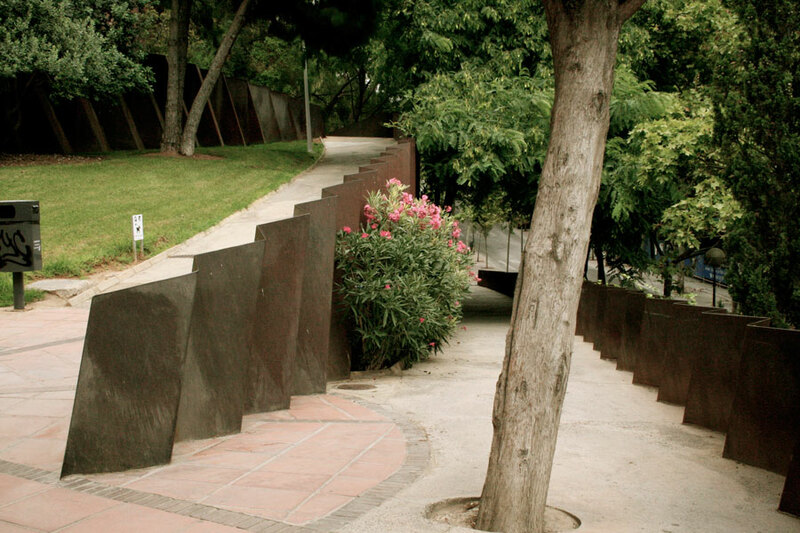 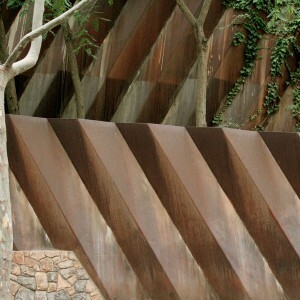 Landscape Architecture: JOSÉ ANTONIO MARTÍNEZ LAPEÑA & ELÍAS TORRES Architects with Miguel Usandizaga arch.